“Speed Records”, the biggest name in Punjabi music launched Ssameer’s heart-throbbing debut Punjabi album, “Saiyyaan” in the presence of musicians and scores of fans. 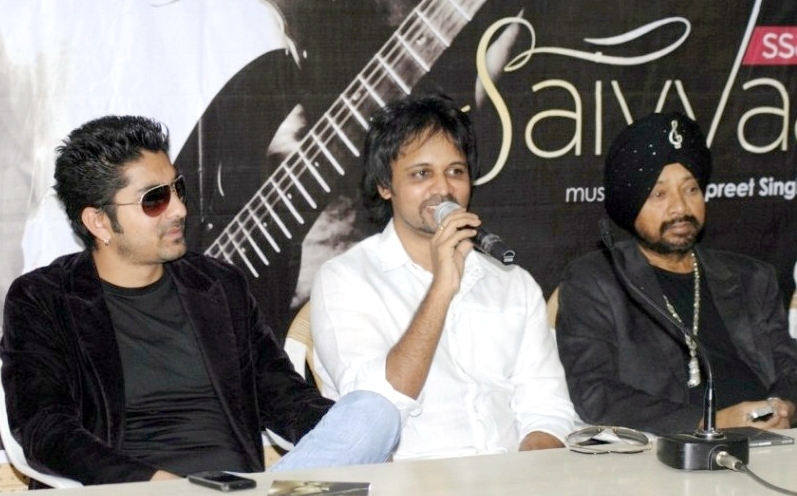 After the success of his earlier work as a young Singer, Guitarist and Music Director, Ssameer was asked to record and shoot his solo Punjabi fusion debut album, “Saiyyaan”. The 7-track album consists of contemporary rock and hip-hop with traditional Punjabi folk, and reaches out to a diverse audience by cutting across the divides of disparate cultures, social boundaries, time and even language. One of the strengths of the album is that it brings a diverse flavour to Punjabi music along with an instant recognition factor due to the atypical accent of the versatile singer. During the launch of the album, besides Ssameer, there were Shamsher Mehndi, Manpreet Singh, Gora Singh, Nishant Mudgal, and senior officials of Speed Records, among an audience of over 100 music lovers who had been eagerly waiting for the launch of the album and to get their autographed CD, signed by the singer himself. The album ‘Saiyyaan’ had its exclusive World Premiere on PTC Punjabi channel with the video being played exclusively in PTC Punjabi for a week with a 20 time daily rotation. The song ‘Jatta’ from the album ‘Saiyyaan’ was specially introduced and featured on BBC UK and received rave reviews. The album is available in leading music stores and on I-Tunes, among other major digital stores. The song, ‘Saiyyaan’ is available on Youtube where there has been fantastic response by music lovers. Music aficionados and Ssameer’s fans can listen to the preview of the songs from the album on I-Tunes. The teasers of the video of ‘Saiyyaan’ from the album were uploaded on Ssameer’s Facebook page, and have 27,000 fans ‘liking’ the stunning video teasers in a matter of days. Ssameer’s next 2 videos for the songs, ‘Jatta’ and ‘Soniye’ will be shot in London shortly. ‘Soniye’ from the album is at the number 2 and 8 positions in Delhi and Indian Pop charts, respectively. Ssameer, a versatile non-Punjabi speaking singer, who through his work with UK based singers, Jaan and Arya expanded his horizons to incorporate new age sounds in his music. The video of the album, shot in Jaisalmer, is directed by Akash Nelson. The album has been mastered by Robert King of Z-Noise Recording Studios in London. As a Music Producer of repute, Ssameer has done the catchy Music Track for ‘Life Ki Toh Lag Gayi’, directed and written by Rakesh Mehta and produced by K Sera Sera. The comedy drama comes with a refreshing story and music that stirred with the youth to a new beat. Besides, he has done half-a-dozen film tracks, including Sarhad Paar, The Silent Sherpa, Hum Phir Milein Na Milein, Gandhi to Hitler and I Don’t Love You (yet to be released). Also sitting pretty in the resume are countless commercials, radio jingles and a montage.